One of the things I love the most about the Jenny Craig program is how easy it is for me to stay on track. Meals are ready in minutes, with all of my favorites on the menu. The one thing that stood out after a few months was that I missed cooking. I know, it sounds crazy… but cooking is a such creative outlet for me. I quickly learned that I could take the Jenny Craig foods and transform them by adding fresh and free additions. Believe it or not, it’s this recipe work that keeps me interested and keeps me inspired! 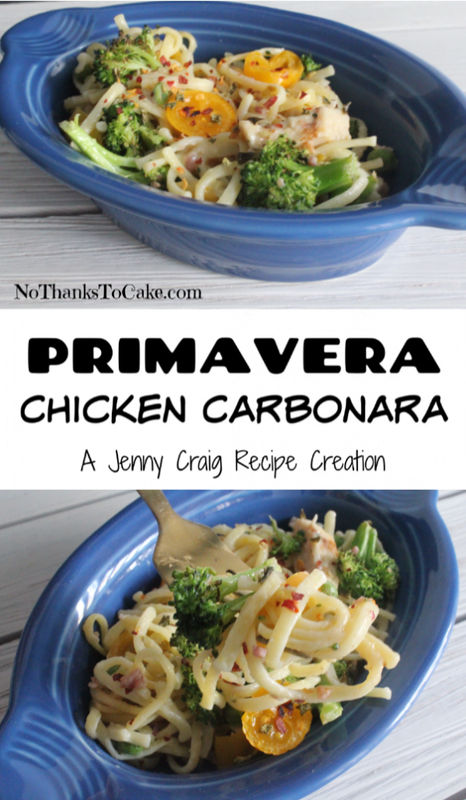 See a full listing of my Jenny Craig Recipe Creations here. Every year, Jenny Craig releases a Simple Inspirations Cookbook, filled with recipes created by Jenny Craig members. Available on their website, you can download this year’s eBook filled with amazing ideas for every meal. This recipe comes from the 2019 Simple Inspirations eBook and is a super easy way to pump up the flavor of the Classic Chicken Carbonara when it hits your menu. Roasted tomatoes and broccoli add caramelized flavors to the mix, and make the meal even more fulfilling! Enjoy! 1. Heat oven to 425 degrees. Prepare a small sheet pan with cooking spray. 2. Cut cherry tomatoes in half, and cut broccoli flowerets into small bite-size pieces. 3. Arrange the tomatoes and broccoli on the sheet pan. Lightly spray tomatoes and broccoli with the olive oil pan spray and sprinkle with garlic salt. Place sheet pan in the oven for 10 minutes. 4. Five minutes before the tomatoes and broccoli finish cooking start the Jenny Craig Classic Chicken Carbonara (cooking according to directions on the package). 5. 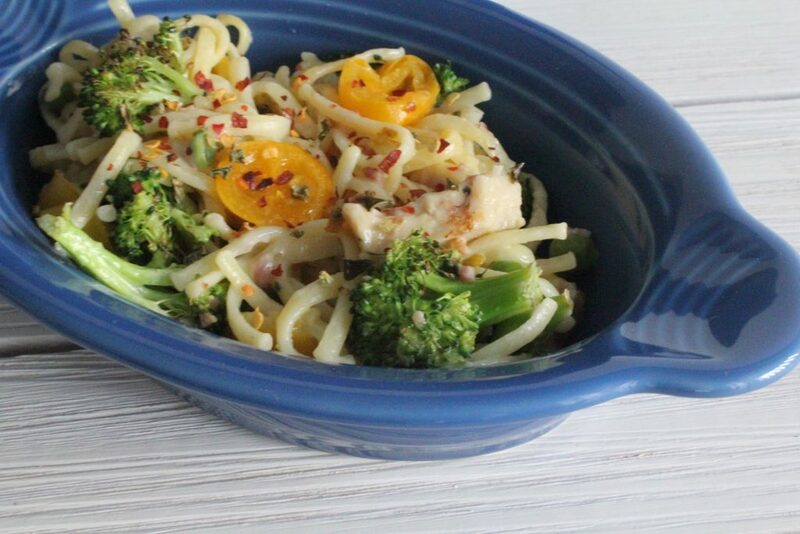 When the tomatoes and broccoli are finished cooking, add them to the top of the cooked chicken carbonara and enjoy! Top with crushed red peppers for a little spice, if desired.